How appliances are used can affect their life span. 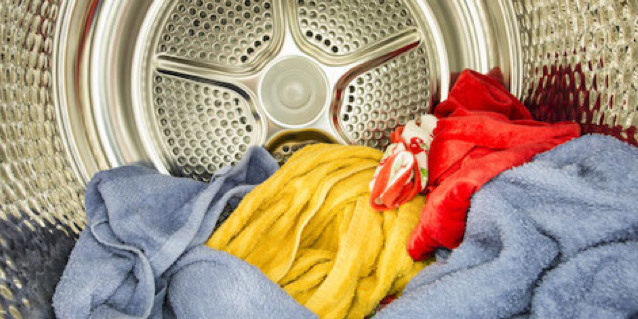 When tumble dryers are maintained properly, they will last longer and run better. Here are a few guidelines to maintain your machine. First of all, do not forget to clean out the lint collector. This should be done for every single load. When it is not done, it obstructs the ability of the next load of laundry from being able to be dried quickly and efficiently. It also puts undue labour on the machine. This can wear out tumble dryers over time and is not a good idea. Once a week, or once every several loads, is not the proper frequency to clean out the lint collector. It should be done thoroughly every time and again always be done between every single load. Do not put sopping wet clothing into the dryer. For instance, suppose you have just come in from the pool in the backyard. Do not put your bathing suit directly into the machine if it is completely soaked. This is not good for tumble dryers. Have the decency to at least hang the bathing suit outside or in the bathtub, or wring it out properly before placing it in the dryer. The same is true for loads of laundry. Always wait until the post rinse spin cycle is complete. Do not put a load of clothing that is filled with water into the dryer. This again puts an undue amount of pressure on the dryer, because overly wet clothing weighs more and puts more pressure on the rotating drum inside the unit. Use dryer sheets whenever possible as it will make clothing smell fresh. You can use liquid fabric softener during the washing process and use dryer sheets as well. Both will soften clothes as well as add a desirable fresh fragrance. If you find that one dryer sheet isn't making the clothing smell nice, use more than one in each load. Do not dry clothing that has loose dirt or, for example, shoes covered in mud. Shake off or wipe off any loose debris before putting it into tumble dryers. It is a quick step but very important. For one thing, rocks and other large particles can scratch the inside of tumble dryers, including the view window on some models. It also can make the inside of the dryer dirty which can get on other clothing when the next load is dried. Tumble dryers are a great help when you need to dry washed clothes quickly, there are even washer dryers that can do both jobs and not take up lots of valuable space in your home. These steps are very easy and executable. Try them out for a longer-lasting, properly maintained machine for a long time to come! If you ever face any problems with your dryer, feel free to contact our Washing Machine Repair team for assistance anytime.